Guilty Gear Xrd: Rev 2 has received an update from Arc Systems Works, as they have now shared some information regarding the upcoming title. The first of which are episode scenarios. These will feature stories with full voice-overs for characters such as Jam Kuradoberi, Raven, Kum Haehyun, Dizzy, Baiken, and Answer. Next are a few modes, which were already a part of Revelator, and mainly just have some updates. M.O.M. Mode will allow players to collect medials, and customize and upgrade characters. However, new items will be added. Currently, there are no details on these new items however. 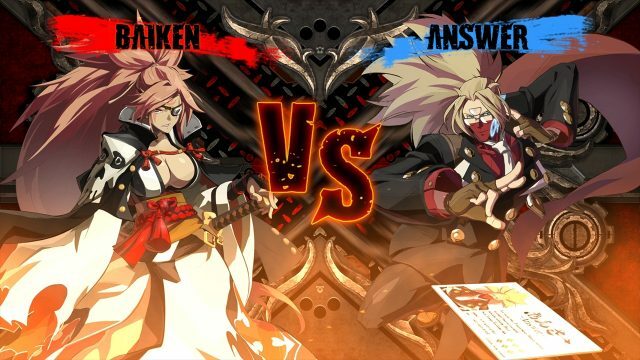 Combo and Mission Mode will also have some updates too, such as with character balances, and counter-measures for the new characters, Answer and Baiken. Finally, there is the avatar, which is given different variations of the heads of the playable characters, and mainly for online play. These can be used while in the lobby. Emotion patterns have also been added too.